ALLDATA certifies that all testimonials are from actual car owners who have visited the auto repair shop ranked on this page. Our review collection process ensures honest and genuine customer feedback without the ability to alter the testimonials once they are submitted by the author. The shop is made aware of the review once submitted and might contact the author, if the author left his/her contact data. Reviews published on the web require consent by the author. Come visit One Stop Auto Repair in Novato! We are proud to specialize in Auto Repair. As the premier auto repair shop in Novato, our ASE Master Technicians take great pride in supplying: Engine Repair, Brake Repair, Transmission Repair, and Auto Electrical Service. Each of our reliable specialists undergo extensive automotive repair training to meet all your auto repair needs. 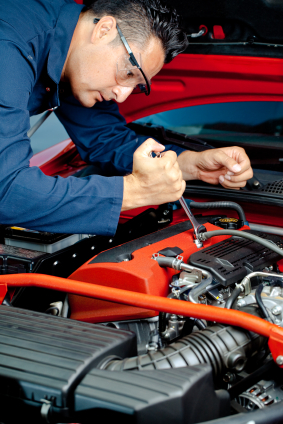 The maintenance experts of One Stop Auto Repair have been honored to serve Novato for the past 19 years. While we focus on Auto Repair, Engine Repair, Brake Repair, Transmission Repair and Auto Electrical Service, we also provide a long range of other auto repair services listed on our services page. Our auto repair experts have built our reputation by providing consistently superior service here in Novato, operating with the same owner since 1994. No matter what your vehicle needs, come see us at One Stop Auto Repair today! From Brakes to transmission to engine work, we are the best one stop auto repair shop in Novato. We provide trustworthy, fast, reliable, and quality work at the right price. Dont just pass through; come see us for any of your auto repair needs. Shop reviews for One Stop Auto Repair coming soon! ALLDATA Market network members make customer satisfaction their top business objective. They monitor and assess the customer satisfaction index based on surveys performed by ALLDATA Market. The results taken over the last three months are shown on a scale from 1 to 5.